Erin Botsford is the founder and CEO of The Botsford Group, a boutique financial planning firm with offices in Frisco, Texas and Atlanta, Georgia. 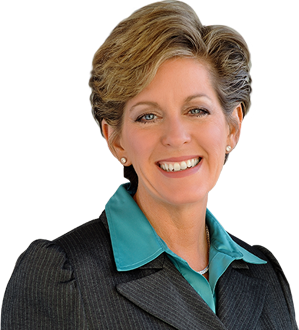 Her firm specializes in retirement and asset protection planning for business owners and senior executives of Fortune 500 companies. Having trademarked an investment philosophy called Lifestyle Driven Investing™, she is considered a thought leader on 21st Century investing, risk management and retirement. Among the top echelon of financial advisors, she is often asked to share her views on investing and the economy in key note addresses across the country. 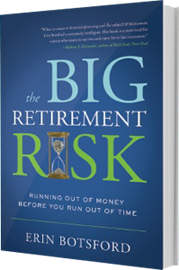 A frequent speaker at industry conferences, Erin is the author of the best-selling book: The Big Retirement Risk: Running out of Money Before You Run out of Time. Her philosophy of money is currently being taught as a second school of thought in financial circles nationwide. Erin’s rise from a life of poverty and misfortune to become one of the Top Financial Planners in the country is a story that has been featured in numerous articles and publications, including FA Magazine, Kemper’s “Success Stories,” The Dallas Morning News, The Dallas Business Journal and Real Woman magazine’s “From Broke to Bountiful.” She has been chosen numerous times for Barron’s magazine “Top 100 Women Financial Advisers”* and “Top 100 Independent Financial Advisers.”* Erin has been listed as one of the “Best Financial Planners in Dallas”**by D Magazine and has had frequent television appearances as a guest on CNBC’s Power Lunch, Squawk on the Street, and Wealth Track with Consuelo Mack. Erin has been recognized numerous times as one of the Dallas/Fort Worth Five Star Wealth Managers*** by Texas Monthly magazine. Erin and her husband, Bob, an American Airlines pilot, reside in McKinney, Texas. Their son Kevin is married to Kristen Botsford and they have two sons, Cooper and Carson. Bob and Erin spend the majority of their free time working on their philanthropic endeavors, from serving returning military veterans and providing water wells, orphan homes and other humanitarian relief to women and children in Africa. *Barron’s Top 100 Independent Financial Advisors (2008) and Top 100 Women Financial Advisors (2009, 2010, 2012, 2014) are based on assets under management, revenue produced for the firm, regulatory record, quality of practice and philanthropic work. **The Best Financial Planners (2002, 2004, 2009) were chosen based on surveys completed by financial planning professionals. Only Certified Financial Planners are listed. ***The Five Star Wealth Manager award is based on 10 objective criteria associated with providing quality services to clients such as credentials, experience, and assets under management among other factors. Wealth managers do not pay a fee to be considered or placed on the final list of Five Star Wealth Managers.